In a week where every game was bonkers in some way, the Cincy-Steelers game went pretty according to script. Rainy, gray conditions…chippy…back and forth slugfest. Either team could’ve won. It seemed like Cincy had it with the go-ahead TD late, but Big Ben and Antonio made magic with 0:15 left to pull it out of the fire. A well-played, punch-counterpunch game all day long…Cincy couldn’t pull it out in the end. This loss is a killer for Cincy…they could have taken a big step towards the playoffs and sent the Steelers reeling. They didn’t. They let Pittsburgh right back into the playoff picture and given them this edge for any tie-breakers. Their next matchup will be Week 17 at Pittsburgh. Cincy takes a mental hit with this loss and then heads off to KC this week to get obliterated. Right now, The Computer is in ‘bet of the year’ mode on this one for KC -6.0 over CIN. My models say Cincy is secretly one of the worst teams in the league – a terrible defense and an offense that has been having to save them through a lucky winning streak. Cincy is going to lose to KC and fall to 4-3 and then has a must win Week 8 hosting Tampa Bay. I just need Cincy to get to 6 and 7 wins to collect ‘over’ win total bets and then I don’t care. 7-8-9 wins is their projection right now, but they MUST beat Tampa Week 8 or I’m going to start sweating this bet. The Steelers have a nice stretch ahead…the next 7 games feature weaker teams or decent teams with good-not-great QBs. The Steelers could/should be 8-4-1 heading to Week 15 hosting the Patriots in what might be a shot for the Steelers to gain a #2 playoff seed…or not, and lose -- and then head AT New Orleans Week 16 and possibly falling right out of the playoffs. 9-6-1 is our current Steelers projected finish and that’s a wild card not the AFC North title, most likely. -- There were no shocking player events from this game, but I’ll touch on a few notes below…but really most of the fantasy noise from this game surrounds the Steelers RB situation. Can be I be proclaimed the world’s leading authority on the Le’Veon Bell situation, finally? I predicted this holdout rationale and likelihood back in July/August. When ESPN kept pushing Bell returning right before the season started…I was defiant that they were wrong. When they pushed his Week 1 return, that ‘Bell showed the Steelers how serious he was by sitting out a game’, I was defiant that they were wrong. When they floated that a source told them Bell was returning Week 7…I was defiant saying it was not Bell, it was a random, possibly made-up ‘source’ without any evidence it was true. Well, here we are…Week 7…Bell is not back, and the Steelers are telling everyone they’ve not heard from him. How many things from ESPN are you going to believe blindly? How many “they plan to use __ more”, “they really like this kid,” type of things are you going to continue to believe? ESPN said Bell was coming back Week 7…said it 3 or so weeks ago…and EVERY fantasy and football news site ran with that as the gospel truth. Will you question the next rumor from ESPN and every site that echoes them blindly? Nope. You’ll frantically scurry around making fantasy decisions based on what THEY say. You were lied to. You clicked the ‘Le’Veon is coming back Week 7’ piece and the ad for a movie or a new car and then Matthew Berry’s TV show ran in the upper right against your will. They ‘gotcha’ and will again and again. They have that power…but because they are so wrong so often/literally making things up, they will run themselves out of business, as they have been…but they still have some gravitas with a certain demographic. Kinda like Sears about 5-10 years ago…dying right in front of our eyes, but still trusted by those who remembered them as a staple from their youth. So, now…let the authority on Tyreek Hill and the Le’Veon Bell situation speak, and not the people who’ve gotten it wrong every step of the way. I’m just using business logic. Le’Veon Bell’s character in this ‘play’ HATES the Steelers for what they’ve done to him – underpaid him and disrespected him in the marketplace…and he’s absolutely correct. The Steelers have done no wrong either…they smartly don’t want to pay big money to a running back because the concept of big money to an RB is stupid/what stupid NFL teams do. Gurley-Gordon-DJ-Freeman-Elliott…none of them will be worth the money big picture. Neither will Le’Veon. So, we have a standstill. The Steelers, and ESPN, bet that Bell would want ‘paychecks’, but Bell sees the bigger picture – forgo $6-7M+ of his 2018 deal this year to preserve himself for the $50M+ guaranteed/$100M+ total deal structure some sucker team will pay him in 2019. Would you personally forgo $6-7M to avoid the injury risk of getting to your $50M payday in six months? Yes, you would. If Bell was about the money NOW or the team…he’d have been back Week 1 or last week. Think about it…if Bell needed/wanted the paychecks and/or was going to comeback Week 7 (per ESPN) for ‘reasons’ – why not comeback Friday/Saturday Week 6…certainly not expected to play Sunday, so collect a paycheck for nothing. Then collect a Week 7 paycheck during the BYE. Then it’s game-on Week 8. If he was coming back for Week 8 all along…he would have comeback Week 6 last second to be paycheck eligible two weeks prior for not stepping foot on the field. The fact that he didn’t and isn’t coming back during the BYE (so far) means he spits on the paycheck notion. He’s in it for the long game. He’s also going to be a terrible employee upon return. As far as Bell is concerned…he never wants to play for the Steelers another down. He has no reason to. The teams has essentially said…”We don’t want you anymore than what we can get this year.” Bell smartly gives them the middle finger. You think he’s going to care about Weeks 10-17 for the Steelers? He doesn’t want to play for them. He’s not going to in the future. He only has injury to worry about coming back. He’s not going 100% upon return. Bell is telling the Steelers this loud and clear with his silence and non-return. But no one wants to trade for a guy who will have the same feelings about them as he does the Steelers – doesn’t care because he won’t be there next year. Bell has one priority – STAY HEALTHY for 2019 free agency. He has nothing to prove going to the Eagles (for example) for 7 weeks…he can only get hurt. If the Steelers are stuck with Bell…they get a 3rd-round pick in 2020 as compensation when he leaves next year. No one is offering better, so they can just keep him and get better compensation. 2) Let him walk back in and hope he wants to play. The Steelers would be fools to let him back and create the chaos and have him play part time or fake an injury, etc. Bell is an employee with zero reasons to help your cause the rest of the season. 3) He comes back and is immediately put on the Commissioner’s Exemption list. That only solves two weeks. Bell could return Week 10, be inactive, then get put on an exemption list for two weeks (max) and then Pittsburgh has to add him back Week 13. The Steelers can’t just put him on the exemption list…Bell has to agree to reduced compensation to go on the list, which he might…or might not. I guess a 4th scenario is…the Steelers just cut him upon his return, but then they may lose compensation for his free agency. Which may mean Bell comes back Week 10, and is inactive. Weeks 11-12 on the exemption list. Weeks 13-17 he’s just ‘inactive’ and a locker room cancer or sent home and kept inactive. All the scenarios are looking bad for a Bell return…but looking GREAT for your James Conner investment. I now think this Conner thing gets paid off. Conner is staying the Steelers main RB. Bell has shown his cards by not coming back right before Week 6 Sunday and not coming back for easy paycheck BYE week. He doesn’t want to play with this current deal, and he definitely doesn’t want to play for the Steelers. 75% = Bell returns right before Week 10, in inactive Week 10, exempted Weeks 11-12, an active the rest of the season. 20% = Bell comes back Week 10, is set to play Week 11-12 and causes nothing but chaos and confusion…and then may be put inactive late in the season. 5% = Bell is traded. Hold your James Conner (19-111-2, 4-18-0/7) tickets…and acquire him cheap this BYE week playing on the confusion. He’s an RB1 the ROS if I am right. Those who are 1-5/2-4 struggling in fantasy…he’s a top lottery ticket to buy lower and maybe wind up with a strong RB1 the ROS. -- Joe Mixon (11-64-1, 4-20-0/7) is not going anywhere. He’s the Bengals RB now and for the future. He should be their Le’Veon Bell NOW, but they don’t typically throw him enough passes. They did here. Last two weeks, I’m seeing Mixon run more pass weapon routes…not just screens and swings. Conner is a strong RB1/PPR the ROS, potentially…and so is Mixon. -- Vance McDonald (7-68-0/8) did VMD things in this game…caught passes and pushed off would-be tacklers all game for extra YAC. VMD is a TE1 if he can stay upright. Possibly a strong TE1…the kinda guy you want to have in case Evan Engram craps out on you upon return with garbage-Eli. -- C.J. Uzomah (6-54-0/7) is an alternative to VMD/in case Engram bombs or isn’t really ‘right’. With Tyler Kroft out several weeks it’s all Uzomah for Dalton. -- Speaking of Andy Dalton (26-42 for 229 yards, 2 TDs/0 INT)…at KC, TB, BYE, NO is a pretty nice stretch ahead. A.J. Green will be hot and Tyler Boyd (7-62-2/9) keeps his WR1 ways up for several weeks. I was so impressed with Boyd in this game. He’s become so reliable for Dalton. Typically, Dalton doesn’t sustain the #2 WR target over the years, but Boyd is stepping up to be different. He’s not just ‘available’ to Dalton…he’s becoming a trusted throw. I’ve never seen Dalton do that with Marvin Jones, Mohammed Sanu…like he’s doing with Boyd. The Boyd story is not over yet. -- Before Antonio Brown (5-105-1/6) scored that game winning TD…Will Jackson had really done a nice job on AB. 4-74-0/5 before the late TD (with an illegal pick to spring it). CLE-BAL-CAR-JAC-DEN-LAC-OAK after the BYE has a few rough spots but not totally deadly matchups anywhere. More ‘good’ matchups than not. 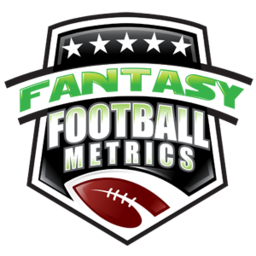 The Steelers-DST is #6 (tied) in fantasy YTD in FF scoring per game on FantasyPros’ website/scoring system.